And there is a dirty secret with regard to Venezuela — one that is the case with almost every contingency the Pentagon ponders ― and that is that none of what is actually being bandied about originates in the Trump White House. Most of what does exist was not even formulated under Obama, Bush or Clinton. 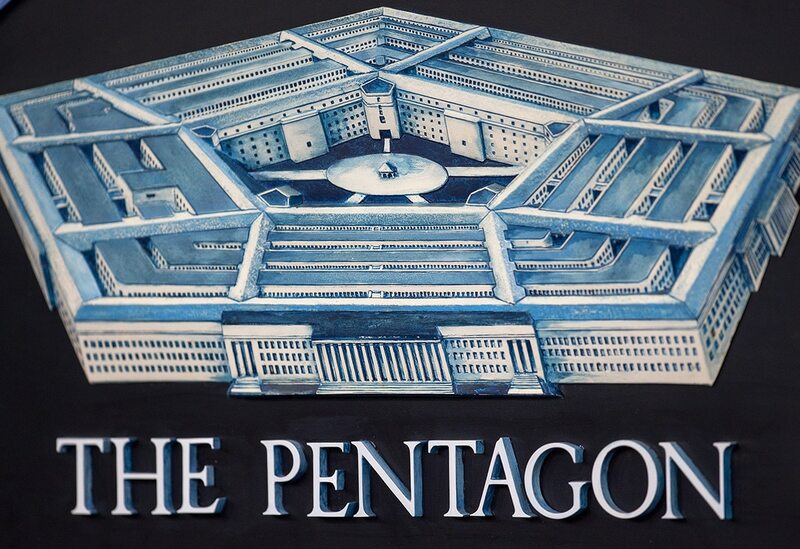 All of it follows a standard Pentagon playbook and fill-in-the-boxes checklist that should be both comforting for those who think “Trump” commands anything, and sobering for those who think the Pentagon is an amazing acrobat. The day before Trump’s blustering statement, Gen. Joseph Dunford Jr., the outgoing chairman of the Joint Chiefs of Staff, briefed the White House on the disposition of American forces and the various contingency plans that could be implemented were force required. According to two officers involved in Dunford’s briefing, key residences and command facilities of the Maduro circle and his Venezuelan military cronies were mapped into the bullseye of American air power. Special operators were readying strike raids and options to protect American diplomats and assets. CIA counterparts were talking with the bad-guys and the Venezuelan military command to communicate American threats and promises. Clandestine actions were being taken to deal with Russian, Chinese and even Iranian troublemakers on the ground. Cyber disruptions and influence operations had begun. But that was all. Ships could be moved and overflights increased and force positioned to “signal” American engagement. But all options? U.S. invasion? Whatever table they exist on is purely a very empty one in the president’s mind. One often imagines a Pentagon devouring contingency plans for breakfast — a variety pack of North Korea one day, Venezuela the next — when, in fact, it is a slow-moving and uncreative place — an institution so sluggish and by-the-book, no wonder the big military is invariably ignored in favor of this air-power-special operations one-two punch. 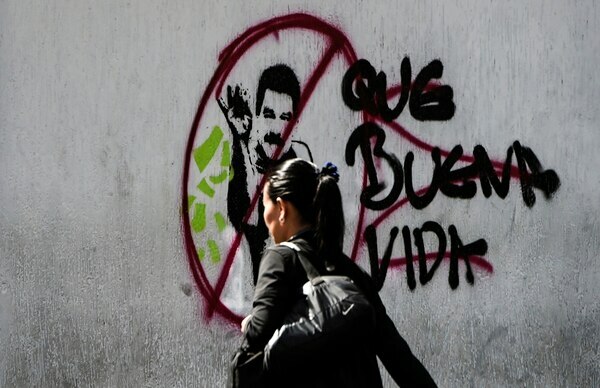 Ever since the United States formally recognized Venezuelan National Assembly head Juan Guaidó as interim president last week, deposing the current president Nicholas Maduro, the news media has been filled with speculation about military intervention, particularly if U.S. diplomats are harmed or if Venezuela implodes and the subsequent conflict leads to mass migration. They do have a plan for that: It’s called CONPLAN 6150, and it dictates the too-ing and fro-ing of military resources in both disaster relief and humanitarian assistance. Every regional command has a similar template for what to do in a disaster. But as the old saying goes, an army marches on its stomach, and this contingency plan — like all others, any military professional will tell you — is all about getting there. Getting there is such a monumental task that no one wants to have to be the guy shrugging his shoulders when asked: who forgot the lightbulbs? And so the Pentagon doesn’t go anywhere with just carry-on luggage. President Trump floated the idea and has had officials meet with dissidents to look at coup options. But it is not written for Venezuela, and it mostly describes the organization and procedures for anywhere — a war plan in name only — one that would require monumental steps to “resource,” that is, to move an already overburdened U.S. military. Then there is CONPLAN 6368, entitled Noncombatant Evacuation Operations. This plan deals specifically with the actions needed to safely extract diplomats, their families, and, indeed, all Americans trapped in an imploding place. Again, it is not written for Venezuela. But to now make it relevant, planners in Washington and Miami are poring over the work of the so-called “Integrated Survey Program” where special operations commandos have already clandestinely gone in and mapped the specifics of the embassy and other key interests of the United States in the country, identifying safe houses and “egress” points to be used in any evacuation. And what to do if there is a catastrophic regime collapse? Well, they have a specific plan for that, too. But the only one that has any credibility is the one for North Korea. So right now, military sources say, “action officers” are running around drawing up what to do specifically with regard to Caracas. This mostly means getting gas for that Humvee that will have to get off that ship or helicopter, driving down that road to this destination. In the world of the very real and not just presidential claim, it’s all about shipping and light bulbs and gas. This is not the political world of being greeted as liberators or some cakewalk to democracy. No one can say what will happen in Venezuela, and a lot depends on what path the Venezuelan military brass will go. At middle and lower ranks of the military — away from the palaces and hushed meetings — where actual worker-bee counterparts are literally counting bullets and light bulbs, the Venezuelan officers are, no doubt, staring at the ledger. The hope in Washington is that they won’t kill for Maduro. But contrary to vibrant imaginations that their actions will be governed by CIA officers (or American money) whispering this or that outcome, in the real world their empty cupboard will more determine what decision they make more than anything else you might imagine. So, yes, they have a plan for everything. And they have a president that they have to please. But right now, sources say, they are mostly explaining the facts of life of real limitations and a military stretched too thin. It’s not that the generals ultimately decide foreign policy, nor that they override whatever the occupant of the White House wants. No, it’s more the reality that timetables and logistics decide, which also goes a long way to explaining why the military is everywhere around the globe, and that the instruments of power we keep using — air power and special operations and increasingly cyber — are so popular. William M. Arkin is a long time military analyst and critic who recently left NBC News to write a book for Simon & Schuster on how to end the era of perpetual war.